Chuck Foley, Co-Inventor of Twister, R.I.P. Like many American classic film buffs, I am a huge fan of the Warner Archive. Aside from having a huge selection of classic and not so classic films on both DVD and through streaming, they have always maintained a presence with their fans through social media. They have a Twitter account, a Tumblr blog, a Facebook page, and even a Pinterest page. The one thing they do not have is a Google+ page. Like most classic film buffs I am also a fan of Turner Classic Movies. While not quite as prevalent on social media sites as the Warner Archive, TCM has a Twitter account, a Facebook page, and even a Pinterest page. Like the Warner Archive, however, they do not have a Google+ page. In both instances I think this is a grave oversight. 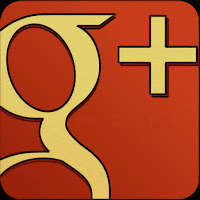 The fact is that Google+ is the second largest social media site, bigger than Twitter and second only to Facebook. What is more, in my experience could well be the most active. Taking into account that more people follow me on Google+ than any other social media site (more on that in a bit), my Google+ stream is far more active than my Facebook news feed or Tumblr feed ever were, and a bit more active than my Twitter feed. As to Pinterest, well, in my admittedly limited experience it is not even in the running. Indeed, to give you an idea of how many people are on Google+ and how active it is, over 8000 people have me circled there. That is ten times as many people follow me on Twitter, which at 800 is the social media site on which I have the most followers after Google+. Of course, even though Google is the second largest social media site and even though it is one of the most active (if not the most active), that still does not necessarily mean that it is good for classic film buffs and classic film outlets. That being the case, I then offer the fact that I know several classic films buffs on Google+. Indeed, there are even several communities on Google+ dedicated to classic film (communities are roughly equivalent to Facebook's groups, or MySpace's old groups if you prefer). Some of these classic movie communities have fairly large memberships. Quite simply, Google+ has a good number of classic movie buffs and their number is growing. There are other advantages to Google+ beyond being a large social network with a sizeable number of classic movie buffs. Unlike some other social networks, there is no text limit on posts. This means that one could write an entire blog length post if one wanted to. And unlike other social networks, photos are often displayed in full size and, even when they are not, one can see the full photo. Photos are never cropped. This naturally increases the chances of one's photos getting notice. The same holds true with videos. Videos are displayed in close to full size or close to it. All of this means that there is a better chance of one's posts getting noticed than there is on Twitter and especially Facebook (which I will discuss shortly). I suspect even if I did not have many more followers on G+ than any other social network, I would still get much more response to my posts because they are simply more, well, noticeable. Indeed, I might mention that if one posts publically on Google+, every one of those posts will be indexed by Google, making it even more likely that they will be noticed! From the advantages I listed above, it seems obvious to me that Google+ is much more advantageous as a promotional tool than Twitter. While I love Twitter, the fact is that the average tweet has a very short period of time in which it might get noticed. A recent study by Sysomos determined that only 29% of all tweets get any sort of response at all. Of these responses, 19.3% were retweets, with the remaining percentage being replies. Not only do very few tweets get any sort of reaction, but they have only a short time in which to do it according to the Sysomos study. According to Sysomos, 96.9% of the tweets that get any sort of reaction do so in their first hour. After that the chances of getting a response decline dramatically. While I don't have studies on Google+ activity, I can tell you what CircleCount (a site that keeps track of one's activity on G+) says about activity on my account there. On average I receive at least one comment per post, one reshare per post, and nine +1's per post (a +1 is more or less the equivalent of a Facebook like). I can also tell you that I have had posts that were months old that received comments, reshares, or +1's. Quite simply, Google+ posts not only get more reaction than Twitter tweets, but they have a longer life span too. Of course, I have always been of the opinion that Twitter is a better promotional tool than Facebook, so it should come as no surprise that I think Google+ is a better promotional tool than it too. The simple fact is that, for all its ubiquitousness, Facebook is the worst social network to use to promote one's services or products. The reason for this that Facebook filters the posts one sees in his or her news feed (this despite the fact that the vast majority of FB users I know don't want their news feeds filtered). Because of this, in the end only about 15% of a page's followers will see any given post from that page in their news feed. If one wants all of their users to see any given post on Facebook, then they must pay $7 to promote the post. One does not need to be maths whiz to realise this could add up very swiftly. This can be contrasted with Google+, where every single one of one's uses will see every single of one's posts! Beyond the fact that Facebook's filtering of posts make it a very poor promotional took, I must also point out its various other disadvantages. First, for whatever reason Facebook crops pictures in the news feed. Second, videos are not displayed anywhere near their full size. This reduces the chance that even those who do see one's post will actually notice them. While Facebook may be the biggest social media out there,then, it is also probably the worst for promoting anything. Other social media sites come with their own disadvantages. I love Tumblr, but because of its stream I think the lifespan of any given Tumblr post may be only a little more than that of a tweet on Twitter. At any rate, in my humble opinion the Tumblr stream is less user friendly that Google+'s stream. As to Pinterest, my experience is very limited with that site, so what I have to say must be taken with a grain of salt. Quite simply, it seems to me that Pinterest is not a terribly active site. Indeed, the claim that some misguided media outlets have made that Google+ is a "ghost town" seems much more applicable to Pinterest to me. Of course, even with all the advantages I can see how some might complain that they are already busy with accounts for Facbook, Twitter, and various other social media sites, so they would have little time for Google+. To me that is not a problem. While I do not know how many social media management sites are set up to handle Google+ pages, I know that HootSuite (my Twitter client of choice) is. One could simply set up one's HootSuite account so that when one makes a post, it goes to Google+, Twitter, MySpace, Facebook, and LinkedIn, all at the same time. If one doesn't like HootSuite (and I don't know why one wouldn't), I suspect there are other social media managements sites out there that handle Google+ as well as Twitter and Facebook. With the many advantages that Google+ has and the large number of classic film buffs there, I really do not see any reason the Warner Archive and Turner Classic Movies don't have pages there. Indeed, I would be among the first to circle them (actually, I would even volunteer to run their Google+ pages for them if they would just sit them up), and I am sure many others would circle them as well. Quite simply, I believe Google+ is an incredible resource, superior to both Twitter and Facebook, that too many media outlets are neglecting. I think if the Warner Archive and TCM set up Google+ pages, they would be surprised at the enormous response they would receive. Almost ten thousand people have me circled on Google+, but I'd say I have consistent high-quality interactions with maybe fifteen people. Quantity isn't necessarily quality. I know part of what you get out of any network is what you put into it, but while a fair number of my posts go by unnoticed on Twitter, it's still where I find the most stimulating film conversations going on. I don't disagree with you, I actually prefer Google+ on features, but it simply isn't where the serious film blogging community can be found. I'm still hoping it'll grow, though simply because the feature-set is so rich. Imagine a weekly Hangout led by Warner Archive or TCM staff. That'd be awesome. As a side note, Pinterest is EXTREMELY popular with certain interests, especially food/recipes, DIY projects, crafts, home decor, things like that. It hasn't quite caught on in other areas yet, but it's hardly a ghost town. Hit the Explore for any of the categories I just mentioned and you'll be overwhelmed with content. Classic film stuff, not as much.